Triple Cream® Eczema Care is a soothing, long-lasting moisturizer designed to help heal and soothe your baby’s severe dry skin and eczema flare-ups. 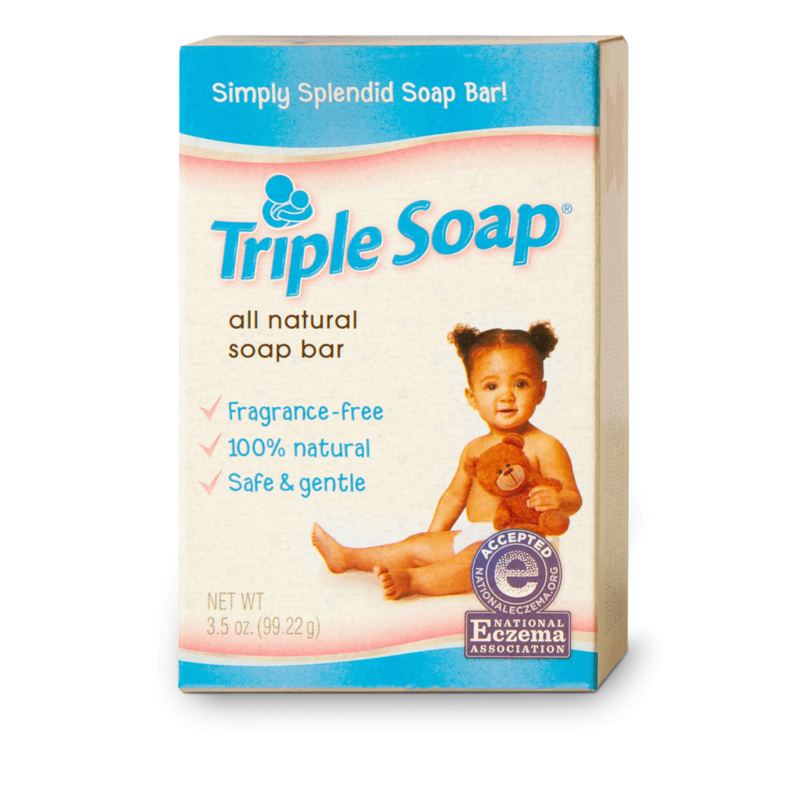 Triple Soap Bath Bar has earned the National Eczema Association’s Seal of Acceptance. It is 100% natural, dermatologist-tested, and hypoallergenic. This fragrance-free, moisturizing formula is safe for babies and for the whole family! Its unique, long-lasting formula goes a long way.